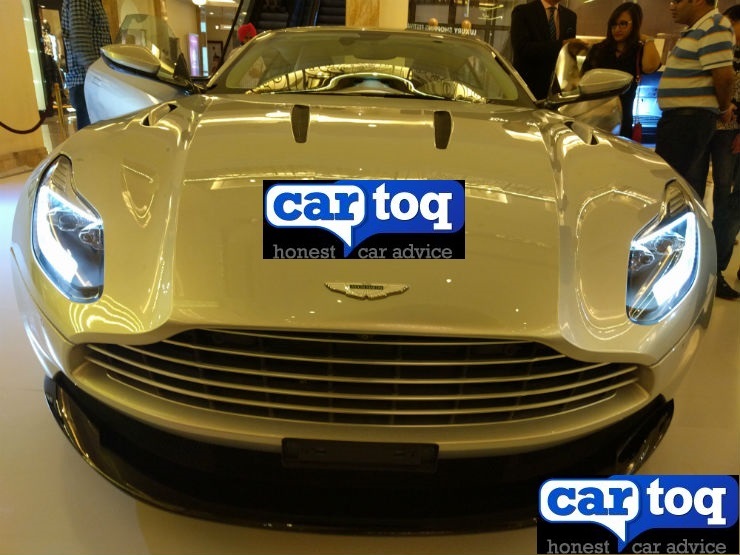 Aston Martin's new flagship sports car officially lands in India. The Aston Martin DB11 has launched in India at INR 4.2 crores (ex-showroom Delhi). 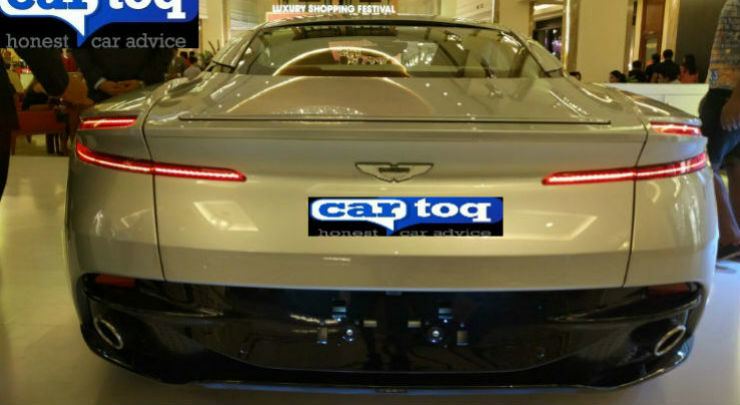 Images from the car's launch, courtesy CarToq, provide the first up-close look at the Aston Martin DB9's successor on Indian soil. The Aston Martin DB11 is the first series production Aston to be powered by a twin-turbo engine. The Aston Martin DB11 was previewed with the Aston Martin DB10 that was created for the James Bond film 'Spectre' and is the first model of the company's 'second century' expansion plan. The Marek Reichman-led design team has made the new flagship sports car more swanky and athletic compared to the DB9. The Aston Martin DB11 is 50 mm longer and 28 mm wider compared to the DB9. The wheelbase has been elongated by 65 mm to mount the new 5.2-litre V12 engine. The DB11 is the first series production Aston Martin to feature a twin-turbo engine. Developing 608 PS and 700 Nm of torque, this unit makes the DB11 capable of doing 0-62 mph (0-100 km/h) in just 3.9 seconds and onward to a top speed of 200 mph (322 km/h). There's an 8-speed automatic transmission handling the delivery duties. Key features of the Aston Martin DB11 are, fully-digital instrument cluster with all-LED headlights with daytime running lights and low-speed cornering lights, 20-inch wheels, LED tail lights, 12-inch full-colour TFT LCD display, 8-inch TFT screen for the infotainment system, Bang & Olufsen audio system, parallel and bay park assistance and a 360-degree birds-eye camera.